Taste the soup that tempted Esau to give up his inheritance to Jacob. Delicious Lentil stew adds protein to a meal of salads, bread and dips. The traditional main meal of the day was served at noon or early afternoon when workers came for a break, hungry like Esau. This meal includes: fresh fire-baked flat bread, lentil soup, Za’atar dip (ground hyssop, sesame seeds, and olive oil), Hummus dip (ground chickpeas with Tahini), Labaneh dip (yogurt and ground wheat), olives, salad, apple slices with date spread, and water. 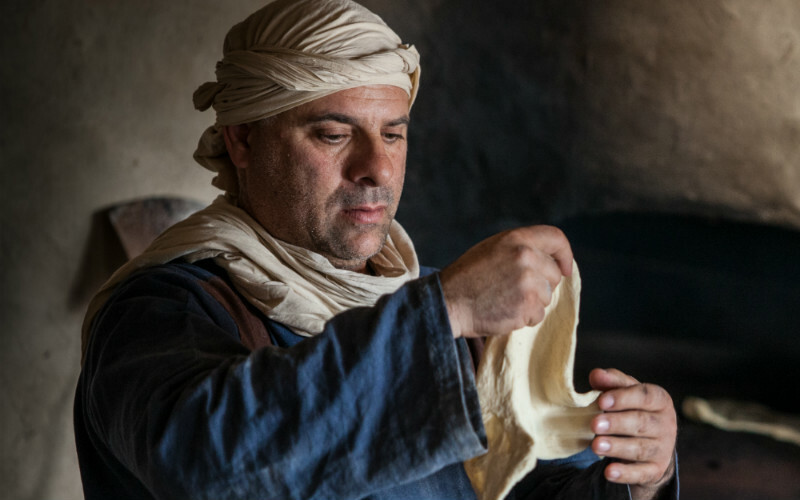 Adding meat to a meal in the first century was not common to the average person. It was only done on special occasions or celebrations, and they mostly used chicken. 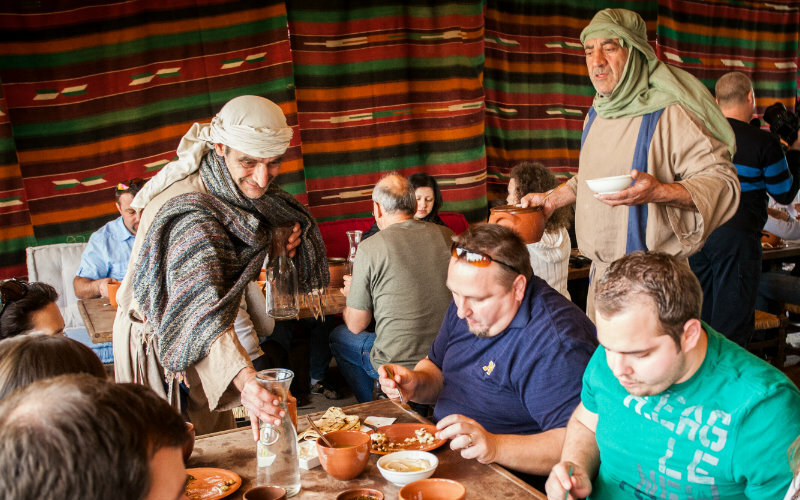 Make your visit at Nazareth Village a celebration, and enjoy a one of a kind meal. This meal includes: fresh fire-baked flat bread, chicken, lentil soup, Za’atar dip (ground hyssop, sesame seeds, and olive oil), Hummus dip (ground chickpeas with Tahini), Labaneh dip (yogurt and ground wheat), olives, salad, apple slices with date spread, and water. The kitchen is only open on days when groups of 15 or more visitors have arranged for a meal in advance. If your group is smaller than this, on days when meals are already being served, it is likely you can be accommodated, but advanced booking is required. Meals are served between 12:00 and 14:00. Please allow two working days for your booking to be confirmed. You’re meal booking request is not guaranteed until you receive a confirmation by the Nazareth Village office. Meals are only available for those touring the Village. If you haven’t booked your tour yet, you can find out more and do this using the button below.